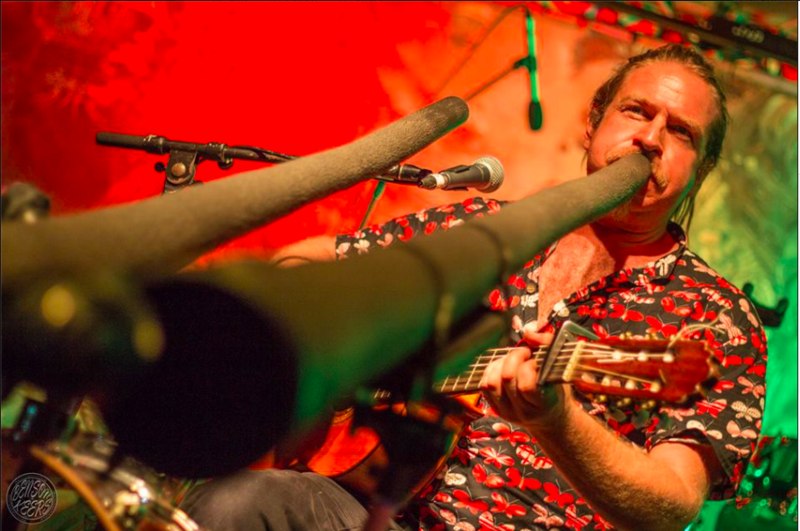 Si Mullumby is one of the world’s leading players of Australia’s iconic instrument the didgeridoo. Behind the wild momentum of his playing is hidden a rich life. Si has played and travelled through many countries and deep into the outback regions of Australia. Si’s principal exploration has been how to use the unique breathing style, known as circular breathing, and the vibration of the didgeridoo, to invigorate his life and the lives of others. This page is to give length, width and breadth to what is ‘on the inside’ of the life of a player who has committed his body, mind and soul for the singleminded pursuit of excellence and wisdom from the didgeridoo. Si acknowledges the traditional custodians of the didgeridoo in his home country Australia.